Makris & Mullinax, P.A. is a Tampa Bay insurance claim law firm specializing in homeowners insurance claims and commercial property insurance claims, including sinkhole insurance claims and failed repair sinkhole insurance claims. 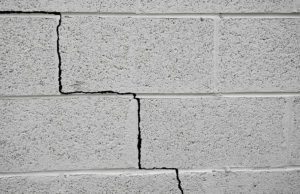 If you experienced cracking damage to your home or business, please contact us promptly for help. We are very experienced in handling the scientific aspects of sinkhole insurance claims and failed repair sinkhole insurance claims. We will review the investigation performed by the insurance company to determine whether or not an adequate investigation was performed and will retain a licensed professional for a second opinion on whether or not you have a sinkhole. If your insurance company is delaying your sinkhole or failed repair claim, denied your sinkhole or failed repair claim, or underpaid or low-balled your sinkhole or failed repair claim, contact us today.